Q: I fell behind on the house payments. My bank stopped accepting payments, and I received a letter saying that my mortgage has been “accelerated”, and that the matter has been referred to a lawyer for foreclosure. What does that mean? Will filing Chapter 13 help this situation? A: “Foreclosure” is the process by which the lender on real estate takes title back from the borrower because of a default, usually by missing payments. There is no minimum number of missed payments that will trigger this action. If payments are not made according to the schedule set out in the note, the bank has the discretion to foreclose. Until foreclosure takes place, the property belongs to the borrower. After foreclosure takes place, it belongs to the lender. “Referring an account for foreclosure” means that lawyers have been hired to start the process of foreclosure, which takes weeks to accomplish. “Accelerated” means that the whole debt is due so that that just catching up the “arrears” will not satisfy the lender. Neither means that the bank now owns your property. 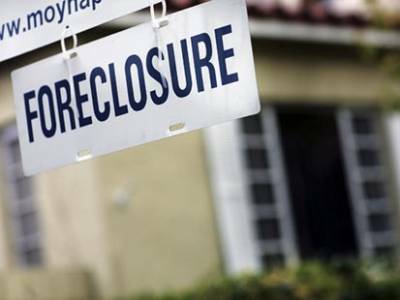 The procedure by which foreclosure happens is determined by state law. Foreclosure in Georgia is done without any court action. To do this, the lender must advertize in the newspaper in the county where the property is located that a foreclosure “sale” is scheduled for a particular date. The advertizement must run for four consecutive weeks. Afterwards, foreclosure may be “cried” on the courthouse steps at the county courthouse. Foreclosures in Georgia must take place on the first Tuesday of a month, and not otherwise. Thus, it takes a least a month after a mortgage has been “referred for foreclosure” before the foreclosure can take place. 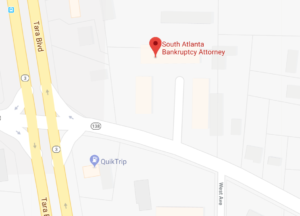 When you file a Chapter 13 bankruptcy, an “automatic stay” goes into effect that instantly freezes the ability of a lender to proceed with foreclosure …whether the lender knows of the bankruptcy filing or not. (If a foreclosure has already taken place, however, a bankruptcy will not retroactively reverse it). Q: What is the effect of filing a Chapter 13 on foreclosure? A: A Chapter 13 bankruptcy involves the filing of a “plan” that may propose to “cure” a mortgage default by having the Chapter 13 Trustee catch up “arrearages” over a period of years. In a normal plan, the debtor makes future mortgage payments in the regular amount directly to the lender after the case is filed. In addition, the debtor pays the Chapter 13 Trustee his “plan payments” which are used by the Trustee to catch up mortgage arrearages and pay other debt such as car notes and credit cards. So long as the debtor meets his obligations under the plan (including the obligation to “amend” the plan when circumstances change), creditors must accept the bankruptcy as approved by the Court. Thus, after a case is filed, creditors may not employ state law collection remedies to enforce their contracts. This includes foreclosure. Thus, debtors have power in Chapter 13 to stop foreclosures permanently. They can keep their property and take years to catch up defaults, whether the lender agrees or not. Call attorneys H. Brooks Cotten or Gina Karrh at 678-519-4143 to discuss your particular situation, and they can discuss your options with you. Does Filing Chapter 13 Have Any Effect on Obligations Arising in Divorce? Do I Have to Include My Spouse? We are a private law firm according to the U.S. Bankruptcy Code. We help people file for bankruptcy.